For about almost two months I've been sleeping with my light on. In the beginning I had nightmares and they've been getting gradually worse. As if something or someone is attacking me. I know I'm not crazy cause in the beginning this is what I truly thought. Inside one dream I couldn't get off of my bed because I was being pinned down and it was some sort of entity and it was growling and talking to me. However I couldn't make out what they were saying at all because I was full of fright. Well I ended up waking up and all I felt was fear and I actually heard it inside of my room. First I thought it was sleep paralysis, but this has been going on for awhile now. I feel hate and I feel anger and I feel as if I'm being stared out with intense anger and full of hate... like it wants me dead. I'm deadly scared and I've basically became an insomniac and been sleeping with the light on each time I go to bed now and my TV is on all night. Locked my door and I feel safe. During certain hours of the night I'm woken up and I have no idea why. Tried to talk to people about it, but they passed it off saying I'm imagining it or that I'm making a big deal out of nothing. The nightmares started back in November and it's around the time when I stopped speaking to someone who was toxic and affecting my life. I have no idea if this goes hand in hand at all but this is when the nightmares started and when I started feeling this horrible presence in my room. Just feel anger and full of hate. Once I actually crawled out of bed to sleep out in the living room because it got that bad. I'm really worried because this never happened to me before and before November I was sleeping perfectly fine with no occurrences happening inside of my bedroom. If you have religion, asking your deity of choice for help could work too, I feel braver when I ask for their help. I had an issue with the house we had in my earliest memories. I would have the same 2 reoccurring nightmares that happened all the time. They were very scary for a 5-6 year old. I still remember them very well today. Then there was that one time I fell out of bed and bloodied my nose. My sisters who were still awake heard me hit the floor and ran in to check on me. I was not on the ground to the side of the bed. I was halfway between the bed and bedroom door with a small puddle of blood from my nose under my face. Almost like something picked me up and dropped me there. I have no recollection of being picked up and dropped. Just waking up and my sisters picking me up. Only years later did my oldest sister ask me if I remembered and where I was on the floor. Edited by Louczar, 01 February 2018 - 01:22 PM. I’m not saying that you’re not experiencing something paranormal but I think the first thing you should do is talk to your doctor about your sleep issues. You could be having hypnopompic/hypnagogic hallucinations along with sleep paralysis. If you are truly suffering from insomnia and sleep deprivation you could be having some type of hallucination due to that. Edited by lorac61469, 01 February 2018 - 01:27 PM. I'm not saying that you're not experiencing something paranormal but I think the first thing you should do is talk to your doctor about your sleep issues. I want to add to this. Going to the doctor and getting some general tests done can help. I got diagnosed with type 2 diabetes in october. Before that, I was having a really hard time with anxiety, depression, hallucinations, insomnia, paranoia, ect. I was having daily panic attacks for no reason. SInce I started my medicines (diabetes meds and thyroid), insulin, eating better, and more exercise, a lot of what I was experiencing has died down about 70%. 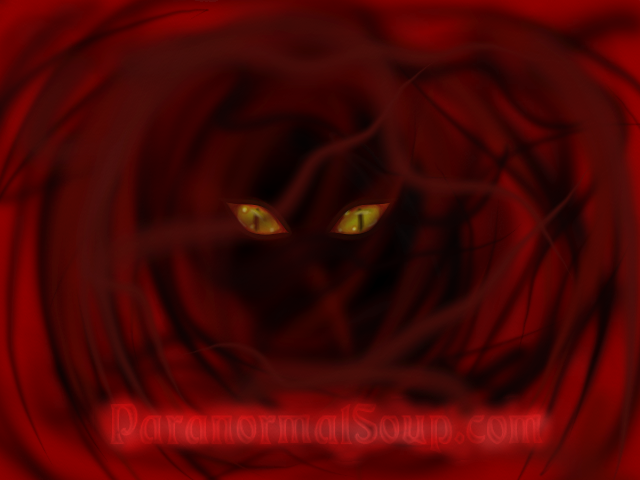 Yes, we still have spirits wandering the house, my hubby and mom have seen them too. So it is true that you can be experiencing a haunting and have a hidden medical issue. I too am sorry you are going through this! I think regardless you need to take back your control! It is making its presence felt, and, when it does you need to say it isn't welcome in your room or house and it has to go away. I understand that some might think to ignore it but it isn't playing by those rules. When you feel this heaviness start your own feelings of love warmth and comfort, push those feelings out into your room and house. Visualise a white light moving out in front and all around you and growing to take up space. It is a light of pure love and energy nothing dark can stay there. P.S. I think you should go with your gut with regards to the person you stopped talking to! If you feel like an evil presence is watching you then I agree...get checked by your doctor first. Then consult a priest if the problem persists. As for telling it to go away...please don't do that...that will just temp it to "play" with you even more. If it is a presence. Be careful. You could be travelling on the Lower Astral Planes while in a sleep state and not know it, which could be dangerous. I suggest you do some research on Astral Projection and the Lower Astral Planes. Wondering if there is an update? How are things?